Alstom has signed a framework contract with transport authority Syndicat des Transports de l’Agglomération Lyonnaise (SYTRAL) for the supply of Citadis trams. The first order from the agreement is valued at €40 million and covers the supply of 11 trams for the T4 line. Other orders may also be placed in the future. Capacity on the line will be boosted by the new 43m-long light rail vehicles – the first of which is expected to be delivered by the end of 2019. 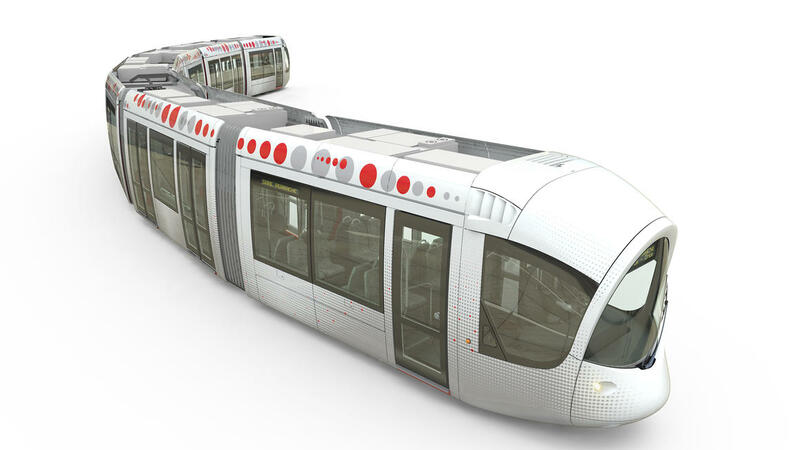 The design of these new trams will be similar to the 92 Citadis trams currently running on the Lyon network. The front end has been entirely redesigned to conform to the new guidelines introduced in 2016 to improve visibility and comfort for the driver, while preserving the spirit of the Lyon tram’s original design with the nose in the shape of a silkworm. The new Citadis trams will be able to accommodate up to 300 passengers each. They are 100 per cent low-floor and feature air conditioning, CCTV and audio-visual information. The trams are also 98 per cent recyclable. These new trams will be designed and manufactured in La Rochelle, France. The other French sites involved in the project are Aix-en-Provence for the speed sensing equipment, Le Creusot for the bogies, Tarbes for the traction system equipment, Villeurbanne for on-board electronics and passenger information system and Valenciennes for the maintenance equipment and supplies. Senior vice-president of Alstom France Jean-Baptiste Eyméoud said: “We are delighted to win this contract which presents a technical challenge: to develop the front end of the tram while preserving the spirit of the original design. “This order demonstrates Alstom’s ability to offer tried-and-tested products, customised to meet the specific needs of its customers while complying with the regulations in force.